What Is This Free Speech Policy All About? There have been Substantial conversations around our campus lately among faculty, staff and students about the new “Free Speech, Academic Freedom, and Civility” policy from the University of Maine System. Plenty of people are asking what is this policy about? And will it affect me and the way I talk in public? The simple answer to that is NO! First off, the policy goes on explaining that Freedom of Speech is widely protected and respected in any U-Maine University. “There shall be no restriction at any System institutions on these fundamental rights, although the University may prohibit speech that violates state or federal law.” This first section just made clear that everyone has the right to free speech, and it clearly states that free speech requires tolerance for diversity of opinions and respect. Since all individuals have the right to express their own beliefs and ideologies, there shall be no prohibition of their right to publicly express them, however unpopular they might be. The second part of the policy, the “Free Inquiry and Academic Freedom” section, is the most misunderstood one. Faculty, staff and students started posing questions once this policy was initially announced on its nature. Some thought that this policy restricted and prohibited professors and staff form expressing their opinions while at school or while outside of work. That is not the case at all. The policy clearly states, “System faculty and staff have the right to comment as employees on matters related to their professional duties, functioning of the University…. System employees have a responsibility and an obligation to indicate when expressing personal opinions that they are not institutional representatives unless specifically authorized as such.” This states that faculty and staff have the absolute right to express their opinions, as long as they don’t state that they talk on behalf of the university. They can state that they are employees of the university, but not that they officially represent it. 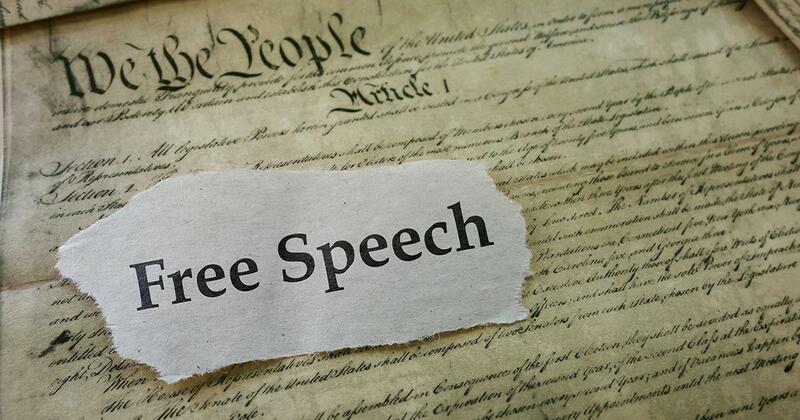 We hope this article brings more clarity to the whole Free Speech confusion. If people have any questions, they should not hesitate to contact the Student Government Association here on campus or our Student Representative to the Board of Trustees.